Earlier this year, the Institute for Energy Innovation (IEI) and Michigan EIBC sought the views of candidates running for seats at the Michigan legislature on advanced energy issues. IEI sent a questionnaire electronically and, upon request, via paper mail, to all 324 state legislative general election candidates. In total, IEI received responses from 109 legislative candidates (approximately 34% of all general election candidates). The responding candidates are competing in 91 districts, representing 61% of all races, and all candidates who responded are running in contested races. The respondents included those of both major parties as well as libertarians. In general, most candidates support Michigan EIBC’s policy priorities. Of those who did not answer the questionnaire in a manner indicating support for EIBC’s priorities, most were “unsure” about the policy areas. This suggests, especially given term-limits and the large number of first-time candidates, that there are opportunities to continue to educate candidates and lawmakers about advanced energy. Michigan EIBC will be hosting a series of introductory and more in-depth events on advanced energy for legislators throughout 2019. Last week, Michigan EIBC President, Liesl Eichler Clark, presented opening remarks at the University of Michigan’s 2018 Energy Conference hosted by the Energy Club at Ross Business School titled “Disruptive Futures in Energy Technology.” The event covered a wide range of energy issues including disruptive technologies, big tech, the future of traditional energy players, and cleantech entrepreneurship and investment. Clark opened the event by highlighting some of the key trends for advanced energy in Michigan. Over the last several years, Michigan Public Service Commission and Energy Information Administration (EIA) highlight significant changes in the electricity sector including an increase in deployment of advanced energy along with retirements of coal power plants and a changing role for nuclear and natural gas. Michigan is seeing market growth for distributed energy as more and more residential and commercial customers are adopting solar energy to reduce energy bills and increase the reliability and resilience of their electricity. The costs to build commercial-scale wind and solar farms have also decreased dramatically in Michigan. In fact, over the last seven years, costs to deploy commercial-scale wind development in Michigan have dropped in cost by 60 percent and costs to deploy commercial-scale solar have decreased by 80 percent. Clark also predicted that the future energy system will include more distributed, modular energy resources, greater integration of cheaper clean energy, more storage resources, and that big data will enable significant improvements in power electronics. As new generation, demand response, and storage technologies develop, the very nature of the electricity sector and the policies that drive and govern it will also have to evolve. These market, technology, and policy trends are all driving toward a more customer-centric energy future in a way that hasn’t been true in the past. All customers– residential, commercial, industrial, academic, municipal, and more – are flexing their decision-making muscles. And dramatic improvements in big data are giving all customers access to new ways to understand their energy use. 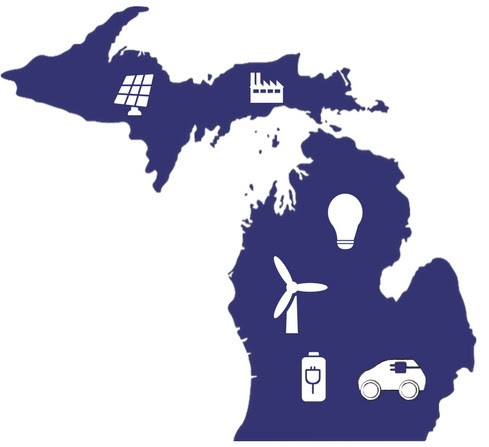 Michigan EIBC and IEI are helping to provide information and resources for business leaders interested in purchasing advanced energy solutions and for policy makers interested in supporting those trends. As a part of our ongoing efforts, Michigan EIBC members and Michigan Chamber of Commerce members are invited to join us on Thursday, October 25 from 3:00 to 5:30 pm for a Corporate Purchasing of Advanced Energy Panel Discussion & Networking Reception at the Michigan Chamber of Commerce headquarters in downtown Lansing. The event will be followed by a networking reception for attendees. Michigan EIBC members and Michigan Chamber members can register here. The Institute for Energy Innovation will also be hosting a Corporate Purchasers 101 lunch and learn event on December 5th for Michigan legislators and staff. This is a great opportunity for Michigan EIBC members to network with policy makers. More details and registration information will be coming soon! Midwest Energy and Communications has started construction on 2,500 solar panels in Southwest Michigan. A dental clinic in Sturgeon Bay plans to generate some of its own electricity via solar panels moving forward. A ‘community’ solar array is being built in Cass County. Consumers Energy and GM announced additional moves to develop electric vehicles and charging infrastructure. While other cities are selling off municipal utilities, Wyandotte still has 3 city-run systems. Consumers Energy is prepared for renewable energy, according to an op-ed featured in the Detroit News. A Muskegon solar farm may get a new developer to help move the project forward. With winter coming, energy assistance is available throughout the state to low-income Michiganders. Two large renewable energy projects are planned for Muskegon County. Michigan is among some states that saw an overall price-per-watt increase on residential solar projects as a result of new tariffs. Heritage Sustainable Energy announced the construction of the Garden Wind Farm Expansion Project. West Bloomfield High School students unveiled a solar project driven by students. Minneapolis-St. Paul’s metro area public transit system withdrew a plan to buy 131 diesel and hybrid buses following public feedback pressuring it to focus on electrifying its fleet. According to an article from Utility Dive, Portfolios of DER are finally operating and showing how customer-sited resources can be of great value to utilities and system operators. A group of data centers operators and customers told Virginia utility regulators that Dominion Energy isn’t meeting their need for renewable power. LG entered the residential market with an expandable battery as the overall residential storage market continues to thrive. Investing in microgrids as a form of insurance for resilience and reliability is a growing movement in the Midwest. Daimler named a new CEO to lead the push into electric, autonomous vehicles. The grid operator PJM stated that FirstEnergy can shut 4GW of fossil-fuel plants without harming reliability. The Trump Administration’s Section 201 tariffs have resulted in a $236 million tax on solar according to a report released this week. 1 billion cars are estimated to be added to the global fleet as early as 2030, igniting a frenzy over who will capture the sale of these probably much cleaner, higher-tech vehicles. President Trump nominated DOE’s Bernard McNamee to FERC, a pick considered favorable to the coal industry. Invenergy plans a unique renewable energy project in Ohio that combines a 175 MW wind farm with a 150 MW solar installation. 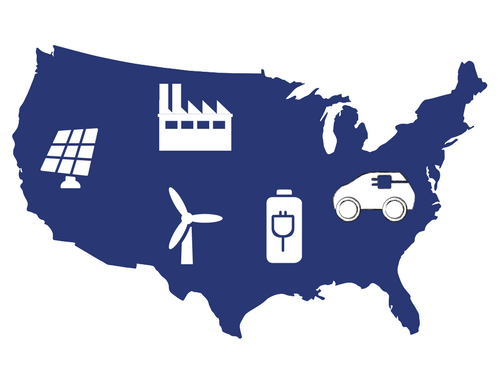 The U.S. Department of Agriculture (USDA) is providing $398.5 million in fundingto upgrade electric service in 13 states, including smart grid and renewable energy projects. Virginia Gov. Ralph Northam’s “ambitious” new energy plan calls for 2,000 MW of offshore wind in the next decade and pushes solar energy, electric vehicles and electric grid modernization. October 7-12 is Detroit Mobility Week which is a celebration of Detroit’s global leadership in automotive and next-generation mobility and features a number of events. On October 16 from 9am – 11am the Energy Services Coalition will host a training session at Lansing Community College West titled “Solar + Utility Programs.” For more information, email Krista at knesbit@Ameresco.com. A Combined Heat & Power (CHP) Workshop, hosted by Michigan CAT Power Systems and DTE Energy, will be held on October 17, noon to 3 PM at Founders Brewery in Grand Rapids. A limited number of seats are available for non-DTE customers, consultants or contractors. Register at www.eventbright.com (search for DTE CHP) or contact James Leidel at 248.765.2027 or james.leidel@dteenergy.com. On October 25, Michigan EIBC is hosting an event with the Michigan Chamber of Commerce focused on corporate procurement of renewable energy in Lansing. Michigan EIBC members and Michigan Chamber members can register here. Michigan EIBC’s Annual Energy Innovator’s Gala is scheduled for Wednesday, November 14, in Lansing. Sponsorship opportunities are available and interested sponsors should contact Nicole Forward at nicole@mieibc.org. For more information on the Gala and to register, please check out the website. The 6th Annual Michigan Energy Innovators Gala is on November 14 in East Lansing hosted by the Michigan Energy Innovation Business Council. USDA announced a set of loan guarantees and grants as a part of USDA’s Rural Energy for America Program (REAP). The deadlines to apply for grants are Oct. 31, 2018, and April 1, 2019. Applications for loan guarantees are accepted year-round. Additional information about the program and how to apply for this funding is available on page 40216 of the Aug. 14, 2018, Federal Register.